Children wait to receive medication in north Nigeria. Sightsavers’ Nigeria Country Director, Dr Sunday Isiyaku, has been elected to lead the non-governmental development organisation (NGDO) coalition for neglected tropical diseases and eye health in Nigeria. 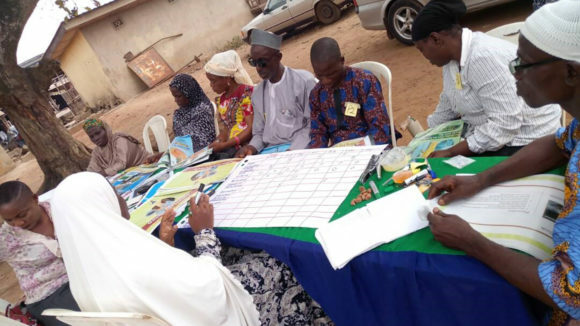 This coalition brings together the organisations helping to fight neglected tropical diseases (NTDs) and improve eye health services in the country. 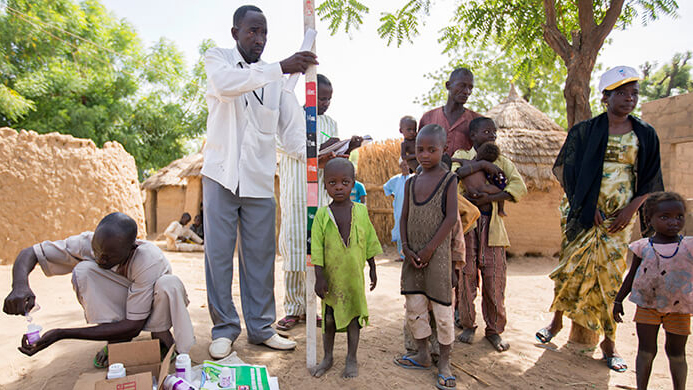 The election of Dr Isiyaku highlights the impact Sightsavers has made under his leadership to increase programmes to combat NTDs and make sustainable improvements in eye health services in Nigeria. 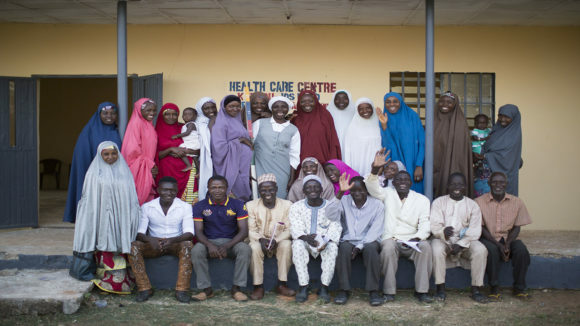 In a letter to Sightsavers CEO Dr Caroline Harper, Christopher Ogoshi, the outgoing Chair of the NGDO Coalition Group, commended what he described as “the immense contributions that Sightsavers has made and [is] still making towards the elimination of NTDs in Nigeria, notably the contribution towards elimination of trachoma”. Among the projects Mr Ogoshi singled out for praise are the Global Trachoma Mapping Project, the DFID UNITED initiative and the trichiasis project in Katsina funded by the Queen Elizabeth Diamond Jubilee Trust, as well as the trachoma SAFE project in Kano, and most recently the planned expansion of support for trachoma control in northern Nigeria.